At the Cooperative New School, we build networked learning communities using the time-tested approach of popular education. We bring environmental justice, social justice, and organizing strategies to the people, to make knowledge accessible to everyone. Our goal is to improve our mutual capacity as scholar activists to make positive change in our own communities. As student-teachers and teacher-students, each of us has the capacity to produce the knowledge that will change the world. Education is the foundation of on-the-ground action for a socially, economically, and environmentally just future. In community, we seek to change the hearts and minds of everyday people to realize their agency as activists, community organizers, and social entrepreneurs. We envision growing a committed group of student owners to form communities of learning and scholarship. As a student owner of the CNS, you will receive a 20% discount on the sliding scale pricing on all webinars and 12-week courses offered by the CNS. You also will have access the student owner governance body, with an opportunity to join a portion of the CNS's annual retreat. Student- and faculty-owners design curricula, certificates, and activist scholarship research agendas. 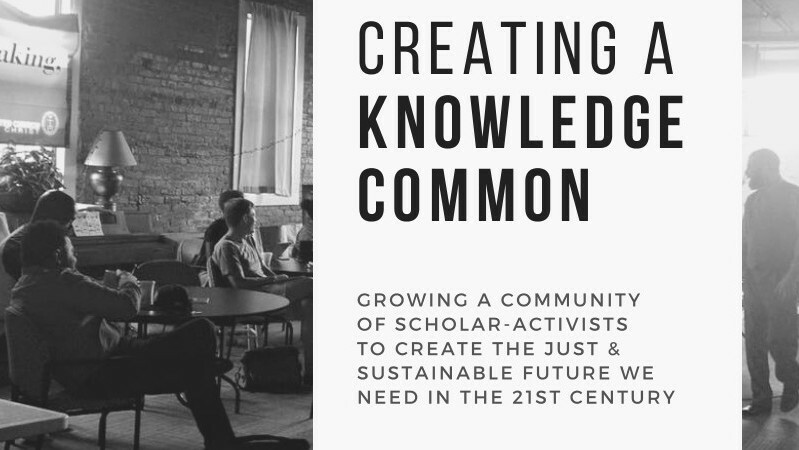 The Environmental Justice Knowledge Factory is the activist scholar arm of The Cooperative New School. The Factory focuses on producing whitepapers, plans, surveys, and other research intensive projects for community organizations, non-profits, law offices, and municipal governments. These contract research projects culminate into deliverables in the form of documents and/or reports that are intended for use in creating positive outcomes for vulnerable communities and neighborhoods under the tenets of environmental justice. This practical webinar, facilitated by Paul Rogé, will discuss in practical terms the cultural, social, environmental importance of insects for the human diet.